According to the United States Geological Survey, there was a magnitude 4.1 earthquake at 4:47 p.m. centered 10km ENE of Dover, DE. 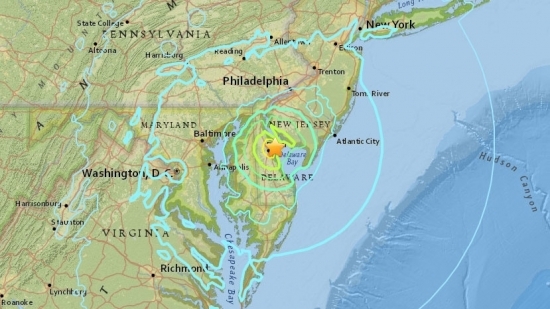 The quake was felt up and down the I-95 corridor from Washington, DC to New York City. More information can be found at USGS.gov. The last memorable quake in the Philadelphia area happened back in August 2011, although smaller ones do happen from time to time. Philadelphia Police have released more details about the body of a girl found in a lot behind a building in West Philadelphia on Tuesday morning. 15-year-old Sabriya McLean was found in the 200 block of South 49th Street. She had been stabbed around 80 times and her body had been set on fire. The suspect, 23-year-old Cole Swaringer-Herring, lives nearby in an apartment with his parents. He told them he had killed someone and then took police to the body. McLean met Swaringer-Herring over Facebook and the two met in person on Monday night. She is from New Castle, Delaware, and had been reported missing. She turned 15 back in October. 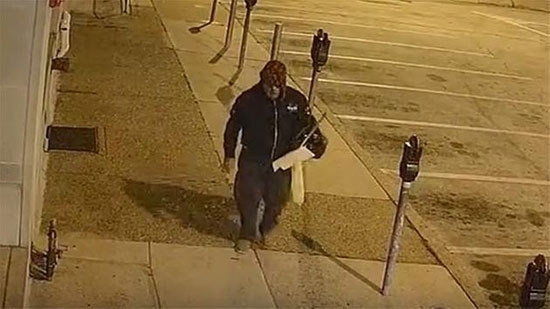 In February 2014, McLean was also reported missing and found at a friend's house on the 4700 block of Sansom Street. She was 11 at the time. A man in Charlotte, NC is suing Philadelphia Eagles defensive lineman Fletcher Cox for seducing his wife. Joshua Jeffords of Huntersville has filed the suit against Cox for alienation of affection. Jeffords claims to have discovered text messages and Snapchats between Cox and his wife that include explicit photos and discussions of having children together. Jeffords says that his wife met Cox when she went to Pennsylvania on a work trip in April. He is seeking $50,000 in damages for "substantial emotional distress."